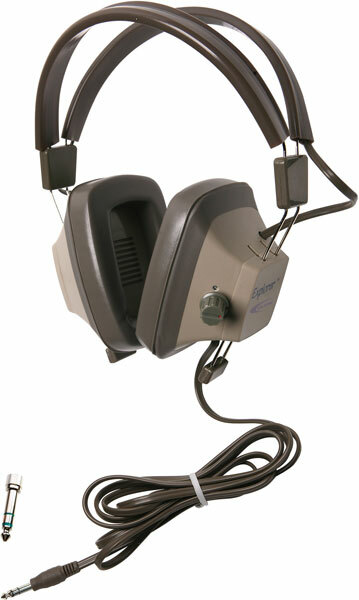 These EH-521 stereo headphones come with a 6' replaceable cord. Ear cushions are a perfect fit for sensitive ears, and are easy to clean. Has extra deep earcups for added comfort that makes any extended listening experience more enjoyable, by minimizing external noises. Has a fully adjustable headstrap that adjusts to varying needs based on the user's preference. The unique "memory" feature seen in these headbands affords it in reverting back to its original shape, regardless of how they are bent. With the perfect combination of comfort and durability, these dynamic headsets are the perfect solution to all your listening needs in classrooms, listening-labs, and more. Cleanable vinyl ear cushions for a new feel every use. Unique "memory" feature reverts headband to original shape.